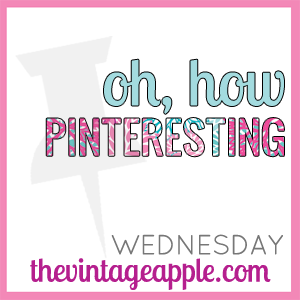 Today I am linking up with Michelle at The Vintage Apple for "Oh, How Pinteresting!" 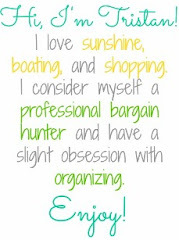 This is where I gush about all things I love/found on Pinterest! 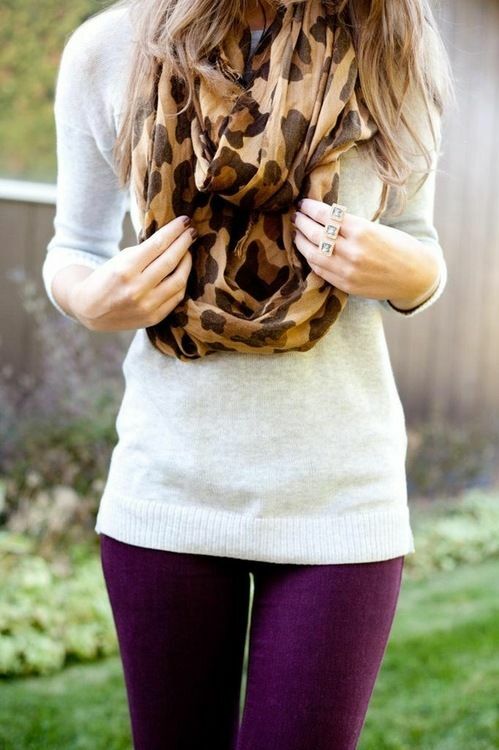 I love this leopard print scarf... must find one! And these purple pants are killer! Haha this is so true! I just now learned to use one cup of uncooked dry pasta per person. This high-low skirt is adorable... mixed with the pastel scarf and wedges, I love! I live by this. I love my white sheets and white towels! How to look better naked... yes please! This is my working vision for one of the walls in the garage. Easy to access tubs that are labeled for holidays and various items. I love this hair color. It's my natural color with blonde highlights throughout. Not too harsh and oh-so pretty! I am loving the stark white desk, walls, and curtain with the pop of pink and leopard carpeting! I want a pink chair for my vanity room!! This bathroom is killer... I love the pearlescent tile on the wall and the hot pink chair. Those purple pants are awesome. And that bathroom is gorgeous!